Comment: Outside wall near deck has water damage. Comment: Have a few moldings that my dogs have chewed. Looking to have them replaced. Comment: Looking to remove and existing newel post and replace with an architectural post I will provide. No change to rails or spindles. L-shaped stairs with newel at bottom half. Width of newel at base in just under 3". House ~25 years old. Comment: Have three windows that need glass. Bay windows, possibly need new frames. Comment: 2 story garage with 1 bed room apartment over garage , 30 feet by 28 feet with Gambrel roof. Comment: Need a hand rail installed along one side of staircase going from main floor to second floor. Bethel Carpenters are rated 4.78 out of 5 based on 984 reviews of 40 pros. 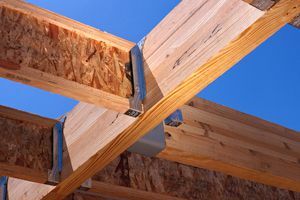 Not Looking for Carpenters Contractors in Bethel, CT?